Dhanmider (Dhan) Dhaliwal is a native to Northern India and relocated to Las Vegas, NV in 1997. She started her real estate career in 2006 as a residential agent and obtained over 12 years of experience in an inside sales position assisting a range of clients from first-time home buyers to sellers & investors. Prior to joining the NAI Vegas family, Dhan worked for a small independent brokerage company in Las Vegas. Dhan joined NAI Vegas in 2018 as a retail advisor in the NAI Vegas Retail Team. 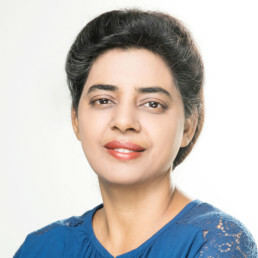 Prior to launching a real estate career, Dhanminder and her husband Raj Dhaliwal stared a commercial construction company in 2006. Dhan was the office manager and facilitated all accounting matters. In her spare time, Dhanminder volunteers at her temple and for the non-profit charity organization, Eternal Charitable Foundation.